Former Panamanian leader Manuel Antonio Noriega has undergone a second operation after suffering a hemorrhage following brain surgery. General Manuel Antonio Noriega, 83, was critically ill and had been taken back to the operating theatre at the Santo Tomas hospital in Panama City, his daughter Thays said. He was released from prison in January to allow him to prepare for the operation. Manuel Noriega was jailed in Panama for murder, corruption and embezzlement. Doctors were successful in halting the hemorrhage during the second operation, but the former leader remains in intensive care. Manuel Noriega suffered from vascular ailments and has been reliant on a wheelchair. Although he was never the actual president of Panama, General Manuel Noriega was the key figure from 1983 to 1989 – and a key US ally in Central America for four decades. The former military ruler was jailed following the US invasion of Panama in 1989. After serving 20 years in the US he was sent to France, where he was sentenced to seven years for money laundering. 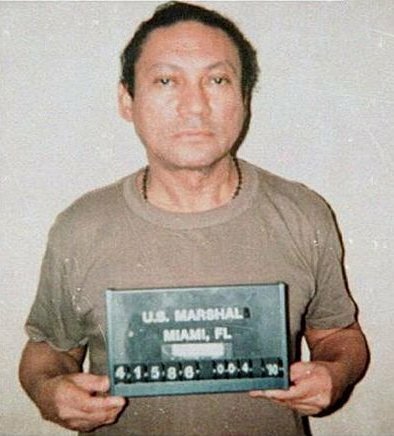 Manuel Noriega was convicted in absentia of crimes carried out during his rule and extradited from France to Panama to serve his sentence in 2011.